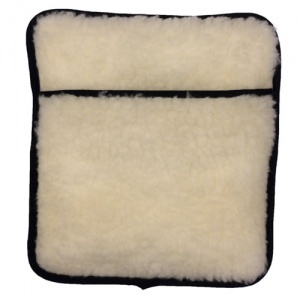 These microwave heat pads have been made especially for your pet – your dog, cat or other animals. 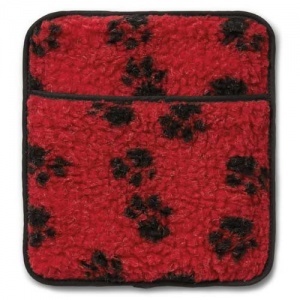 Hottie pet warmer is a microwaveable thermal pack either sealed in a claw resistant, hygienic and wipeable polyurethane cover or choose the washable acrylic fleece options if you prefer a cosy finish. Like a hot water bottle but much safer. Hotties can be used on their own, wrapped in a towel or placed in a bed or crate. The gentle warmth is ideal to keep your pet warm. 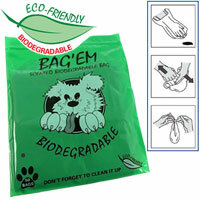 Suitable for kittens or puppies as well as older cats and dogs or any pet who feels the cold. 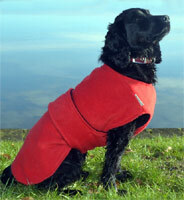 As well as keeping off the chill, the warmth can aid circulation and ease aches and pains. 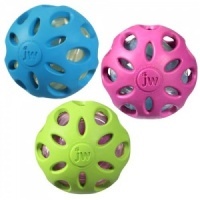 Can also be used for relaxation and to aid recovery after an operation or during illness. 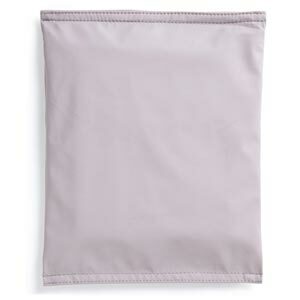 The reheatable thermal core microwaves in minutes and provides gentle, sustained and regulated heat for hours. 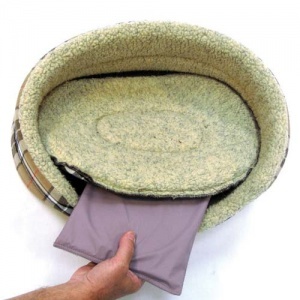 Never use a hot water bottle again. No need for boiling water and tricky stoppers. Avoids burns and scalds. Never needs emptying or refilling. Heat in the microwave for a couple of minutes to get hours of warmth and comfort. 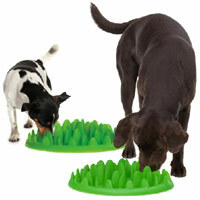 Why not give your faithful friend a treat for those colder nights. Comes sealed in a bag with heating instructions. Does not contain wheat, harmful gels, waxes or chemicals. 1) Do not overheat. Warming this product to high temperatures beyond instructions can lead to the leakage of hot liquid. 2) If your microwave is small (has a capacity of 17 litres or smaller) with a chamber width that prevents the Hottie rotating freely (less than 25cm inside or turntable), this product will not be suitable - the thermal pack may develop dangerous holes.